Wallets are an essential fashion accessory for men, and they can also serve as a status symbol. When it comes to status, marble is always seen as an epitome of luxury. 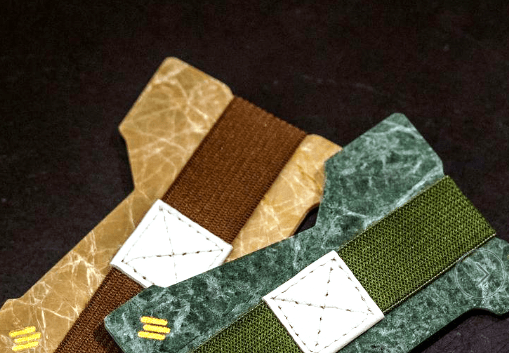 Now a company named MIKOL, which describes itself as a lifestyle fashion accessory brand, has successfully created the world’s first real marble minimalist wallets. Your first thought now could be why you would buy a wallet that could break or shatter easily. However, the company has taken care of this concern by making the marble wallet drop-resistant. “And before people, you think these marble wallets well break or shatter, let’s think about what century we are in! 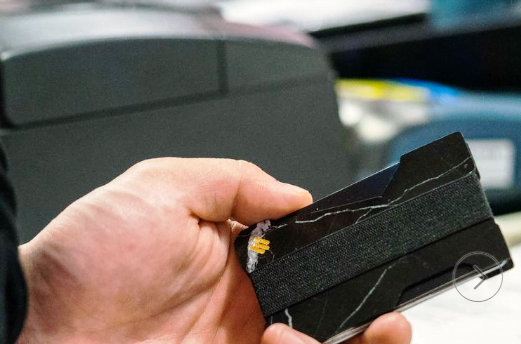 With technology, we have made these marble minimalist wallets drop-proof,” the company says on its website. To support its claim, MIKOL also released a YouTube video which shows one of its cases surviving a fall to the ground when thrown in the air. MIKOL’s minimalist marble wallet is sleek, compact and lightweight. It looks like a truly next-gen wallet with its Star-Trek-like design and neat finish. Even though it is sleek, the company says it can hold up to 15 credit cards, debit cards and other similar cards. Moreover, it comes with an elastic band to hold your cash. “They can fit in your back pocket, front pocket, jacket pocket, suit pocket and so on. The point is, it’s compact, easy to fit anywhere and not bulky,” the company says. MIKOL’s minimalist marble wallet also features a geometric shape for aesthetic reasons. The shape also makes the wallet easy to use. Users can easily and comfortably thumb through their cards to find the one they want. “Cash in front, and pick out whatever card you want to use. Put it back and slip back into your pocket,” MIKOL says about the wallet. Whether you are going to the gym, hanging out with friends, or going other places where you don’t want to carry much with you, this minimalist marble wallet is perfect. Just put in some cash, your bank cards and your driver’s license in the wallet, and you are good to go. This wallet also relieves you from bulky wallets which make you uncomfortable while you are sitting. Some men pull their wallets out of their back pocket and put them on the table in front of them when sitting down, but this increases the chance of forgetting to pick it up when you leave. Additionally, sitting with a bulky wallet in your back pocket can lead to pain in your lower back/hips over time. All these reasons could make MIKOL’s minimalist marble wallet a great choice for some men. However, we must note that the wallet is not connected meaning its two seperate pieces – if that bothers you this wallet is probably not for you. MIKOL offers the wallet in four colors: Sahara Gold, Nero Marquina, Emerald Green and Carrara White. Except for the Emerald Green variant, which is priced at $129, the other three variants cost $99 each. There is also the option to add a signature engraving to the wallet. You can buy MIKOL’s minimalist marble wallet here. MIKOL is currently offering 20% off the list price.